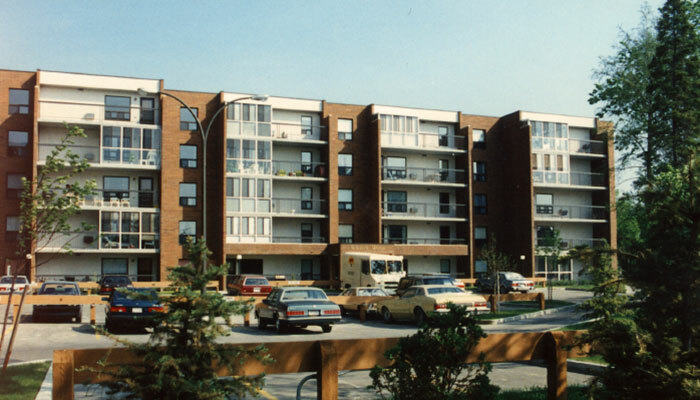 This 50 unit, five storey condominium development is located in the St. Vital area of Winnipeg. The intent of the project was to provide modest condominium housing for long term residents of the neighbourhood. The project was developed on a small triangular property which presented an architectural challenge in design.